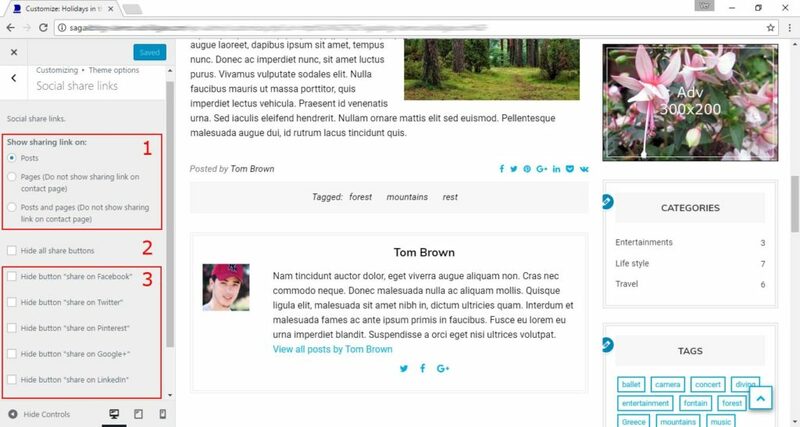 In chapter ‘Social share links’ you can add social share links to your posts and pages. 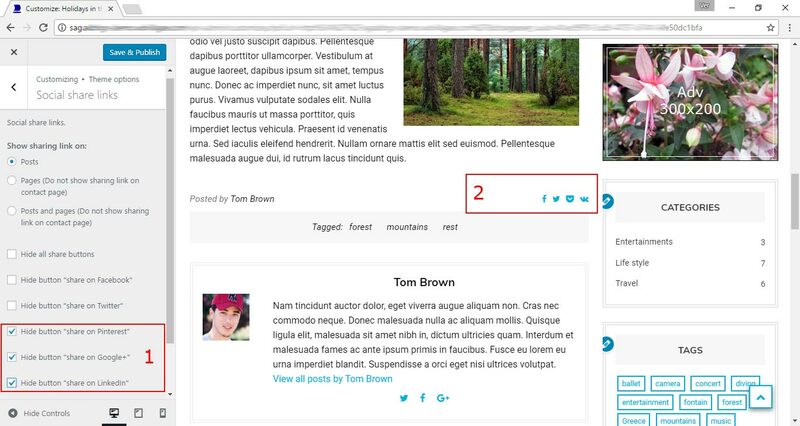 1- You can choose where you want to display share links: on posts, on pages or on posts and pages. 2- You can hide all shared links. 3- You can hide some of the shared links.